Round 5 of the Brexit negotiations has concluded with statements by the EU Chief Negotiator (Michel Barnier) and the Secretary of State for Exiting the EU (David Davis). Some British politicians will be most unhappy to have heard Mr Barnier state - " ... as things stand at present, I am not able to recommend to the European Council next week to open discussions on the future relationship." Although the talks clearly made a certain amount of progress, the major sticking point appears to be the financial settlement which Mr Barnier said had not been discussed apart from some technical details. He said, "We are, therefore, at a deadlock on this question. This is extremely worrying for European taxpayers and those who benefit from EU policies." Nevertheless, a fair reading of the two statements suggests delay rather than complete failure but there is a feeling of despair in Mr Barnier's remarks. Hopefully, the talks will proceed during the autumn and reach the point where EU negotiators become able to recommend that negotiations move on to matters such as the future trading relationship. As required by the 29th April EU Council Guidelines, the talks have so far been confined to Citizen's Rights, the position of Northern Ireland and the financial settlement. Mr Davis said - "Now while there is still work to be done, much work to be done, we have come a long way. And it is important to recognise the significant progress we have made since June." Mr Barnier said - "We worked constructively this week. We clarified certain points. But without making any great steps forward. We still have a common goal: the desire to reach an agreement on the UK's withdrawal and to outline our future relationship, when the time comes." Factsheets have been published by the EU Commission on Brexit Negotiations Citizen's Rights; Northern Ireland and the Financial Settlement. Links to these are available on the same webpage as Mr Barnier's statement. There is pressure for the government to release studies it has undertaken about the possible impact of Brexit on various sectors of the economy. Up to now the government has claimed that release of the papers could impact adversely on the Brexit negotiations. Critics of this position argue that the government is keeping the material secret purely for political reasons. Recent days have seen an increasing amount of talk about a "no deal Brexit." The consequences of that for almost every aspect of modern life could well be severe as, for example, this statement by the British Airline Pilot's Association (BALPA) notes. Hence, leaving aside the possibility of an extension to the 2 year period, the UK will leave on 29th March 2017 if there is no withdrawal agreement. If there is such an agreement then the date it comes into force will apply. At Prime Minister's Question Time on 11th October, was asked by Mr Ian Blackford MP how she would vote if there were to be another referendum on EU membership. Mrs May responded by stating categorically that "there is no second referendum." Whether there should be a second referendum is a matter of politics and the outcome of such a referendum, were it to be held, is a matter of speculation. There appears to be some reason to suppose that the 2016 referendum outcome might be reversed but that is by no means certain. Legally, there could be a second referendum if Parliament were to enact legislation to require one to be held and a Bill is presently before the House of Lords with a view to achieving such a referendum. It is the European Union (Referendum on the Withdrawal Agreement) Bill - sponsored by the Liberal Democrat peer - Baroness Ludford. 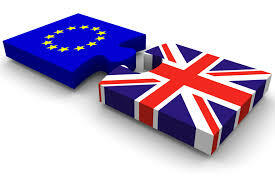 If enacted, those aged 16 and 17 would be able to vote in the referendum as well as British citizens who live abroad. This referendum would obviously be held when details of the Withdrawal Agreement were known. the Bill stipulates that voting could be as late as 28th February 2019. The 2 year period specified in Article 50 expires on 29th March 2019. As was the case with the EU (Referendum) Act 2015, there is no provision in the Bill to make the outcome binding on Ministers and there is no provision to require any specific referendum outcome such as requiring (say) a two-thirds vote in favour of leaving or a vote in favour in each of the constituent nations of the UK. The Bill is highly unlikely to receive government support. A second reading date has yet to be fixed. Baroness Ludford's Bill appears to be based on an assumption that the UK can unilaterally revoke its Article 50 notice but whether this is possible has been a matter of considerable debate in legal circles. This earlier post (23rd July) sought to collate various views. There is also this more recent contribution by Cormac Mac Amhlaigh - Can Brexit be Stopped under EU Law. Only the Court of Justice of the EU could give an authoritative legal answer to this point. "In these proceedings, it is common ground that notice under article 50(2) (which we shall call “Notice”) cannot be given in qualified or conditional terms and that, once given, it cannot be withdrawn. Especially as it is the Secretary of State’s case that, even if this common ground is mistaken, it would make no difference to the outcome of these proceedings, we are content to proceed on the basis that that is correct, without expressing any view of our own on either point. It follows from this that once the United Kingdom gives Notice, it will inevitably cease at a later date to be a member of the European Union and a party to the EU Treaties." Sir Stephen Laws submitted this written evidence to the committee.